Join us for this exciting full-day private tour of Ahmedabad city! Ahmedabad is graced with splendid monuments, mosques, pavilions and mausoleums, mostly in Indo-Saracenic style of architecture. Mahatma Gandhi's efforts towards India's freedom also started near here at an Ashram called Sabarmati. 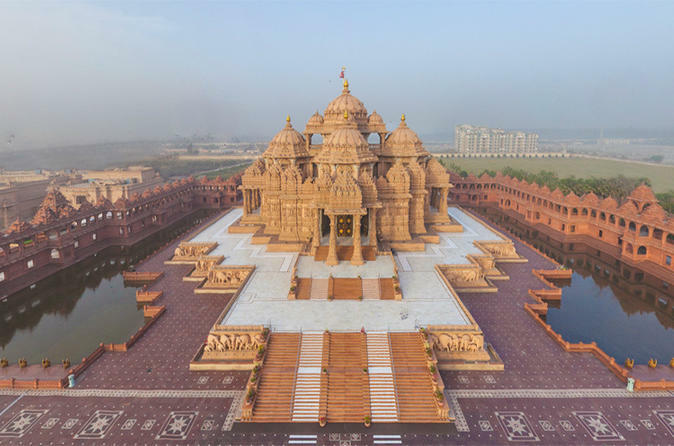 Visit Akshardham Temple, the Shaking Minarets, Calico Textile Museum (closed on Wednesday), Hathee Singh Jain Temple and Sidi Saiyed's Mosque . Also stop by the landscaped Sabarmati promenade by the Sabarmati River for some fresh air! Take a private full day tour covering Ahmedabad, the largest city in the state of Gujarat. 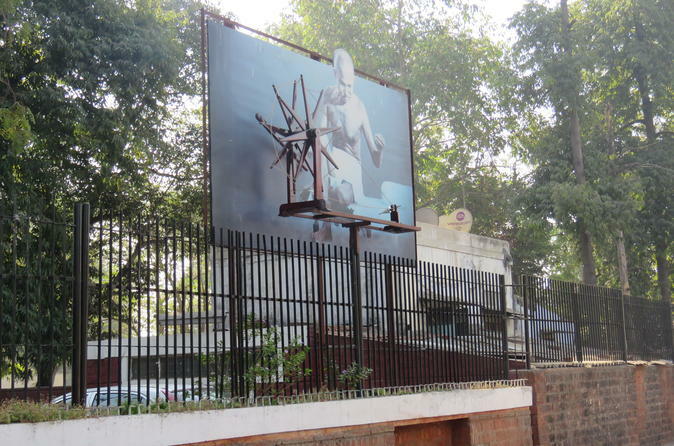 On the western bank is the Gandhi Ashram at Sabarmati, which displays the spiritual leader’s living quarters and artifacts. Visit the Calico Museum of Textiles, once a cloth merchant's mansion and has a significant collection of antique and modern fabrics. Other points of interest include Hutheesing Temple, River Front Sabarmati, Sarkhej Roza, Jama Mausjid from the outside, Adalaj Stepwell and Sidi Saiyyed Mosque. 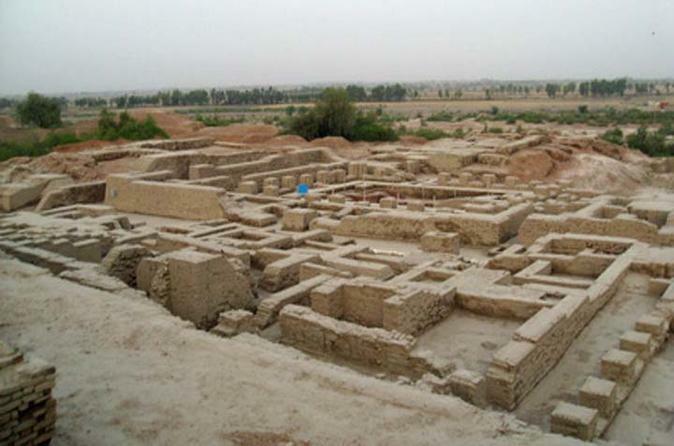 Lothal is one of the most prominent cities of the ancient Indus valley civilization located in the Bhāl region of the modern state of Gujarāt. Instead of fortifications or temples, in Lothal you will mostly see flat and desolate ruins. However, please keep it in mind that you don't go to Lothal to see what is visible now but to imagine what used to be in the past. In the emptiness, you can create a unique drama of the place that some believe was the cradle of the subcontinent’s oldest civilization. Ahmedabad, also known as Amdavad, is the largest city and former capital of Gujarat State. It was built by Sultan Ahmed Shah to serve as his capital in 1411 A.D. You will visit Jama Maszid, Sidi Saiyed's Mosque, Hathee Singh Jain Temple, Sabarmati Ashram, Adalaj Stepwell and Akshardham Temple. On this 7-day tour you will visit the most of the famous attractions where the Indus Valley Civilization flourished as early as 3500 BC at Lothal. 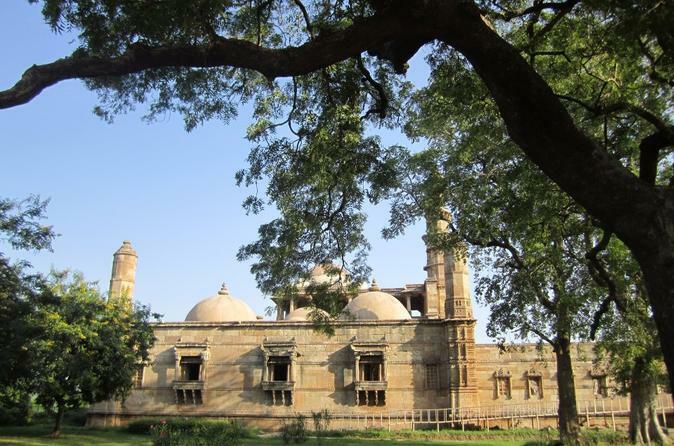 Visit the Palace Museum and the University Museum at Vadodara. Spend a day visiting the Champaner-Pavagadh Archaeological Park. 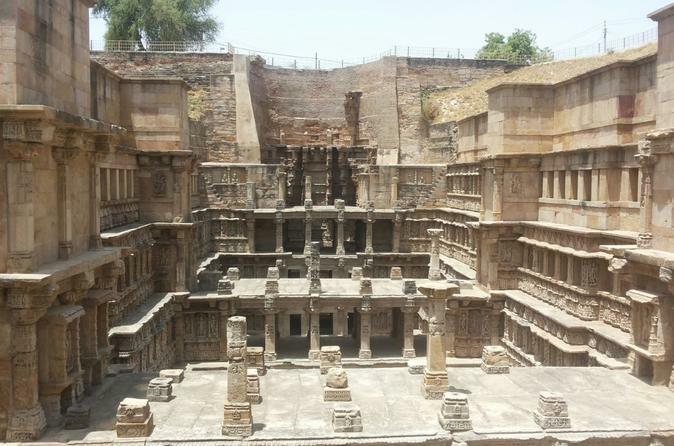 See India's wondrous step-well in Adalaj, the Buddhist caves in Junagarh and the Khambhalida Buddhist Caves in Rajkot. Enjoy a private guided day tour and visit many famous locations such as the Patan Rani Ki Vav, Patola Weaving Centre, Modhera SunTemple. Make the best of your stay while in Agmedabad alongside a knowledgeable local guide and a small group of like minded enthusiasts. 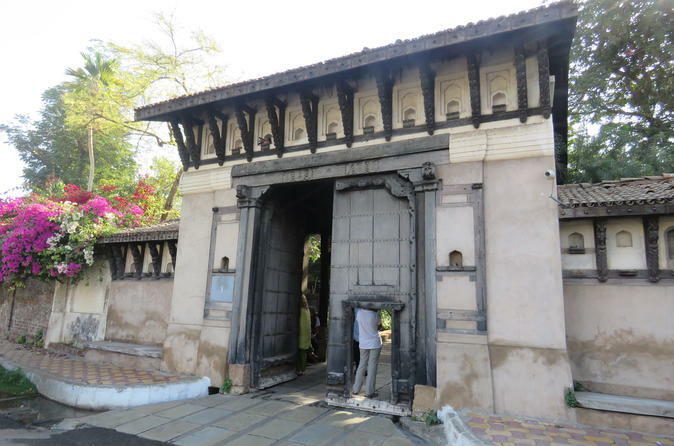 This full-day private tour of Ahmedabad will take you to the Calico Museum of Textiles, where Indian fabrics from various states are displayed, as well as the manufacturing process and the raw materials. You will also visit several local places of worship including the Gandhi Ashram, Hutheesing Jain Temple and Via Sidi Saiyyed Mosque. 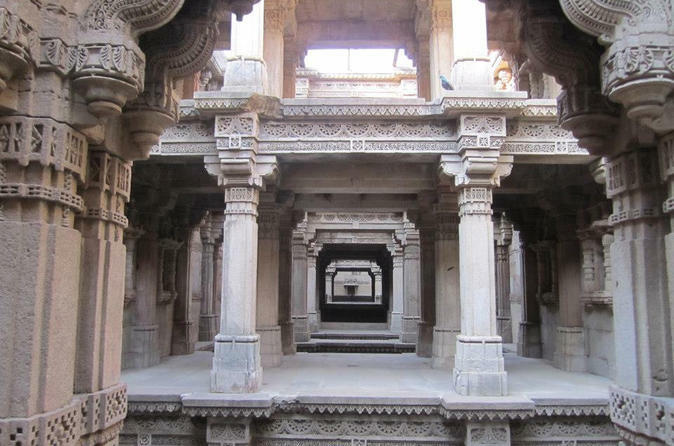 Relish a 4-hour private evening tour in Ahmedabad with your guide. Visit the unique Sarkhej Roza mosque and the riverfront on the Sabarmati River. 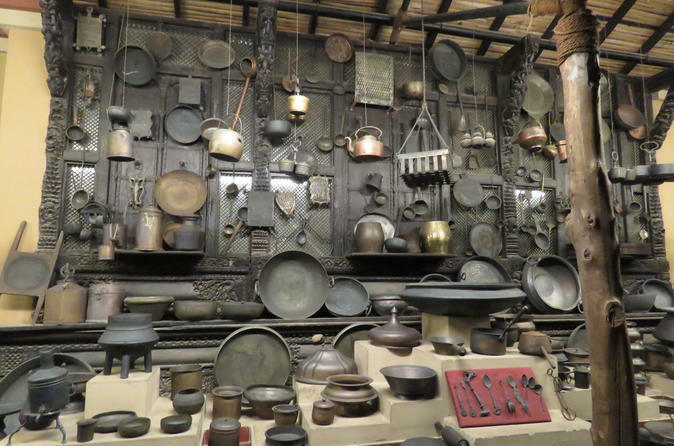 Enjoy a walk through the unique utensil museum followed by an a la carte dinner at Vishalla Restaurant.Transportation, dinner and entrance fees to the mosque are included. 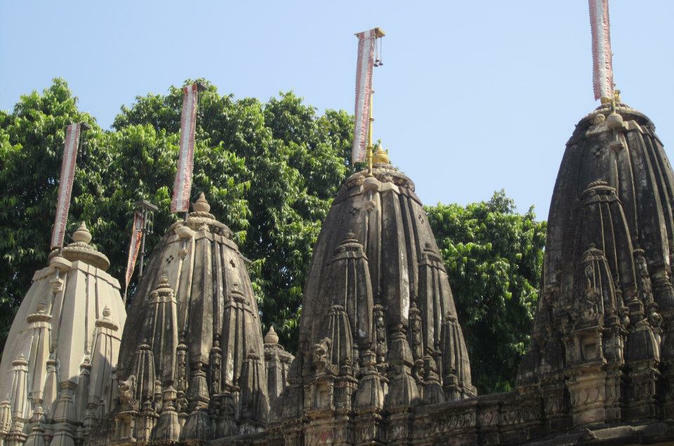 Enjoy a guided day tour to Vadodara and Champaner from Ahmedabad. Vadodara is the cultural capital of Gujarat where you will see Old Palace and ancient Streets and Champaner is historic city located 50 km from Vadodara . You will visit here Champaner-Pavagadh Archaeological Park.